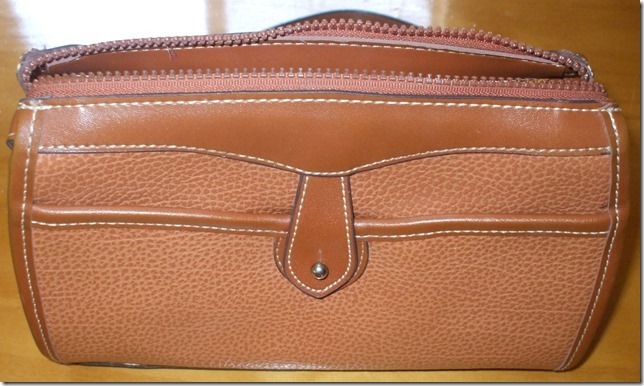 Is this Peanut Colored bag a genuine Dooney & Bourke? This is a fake or knock off bag. 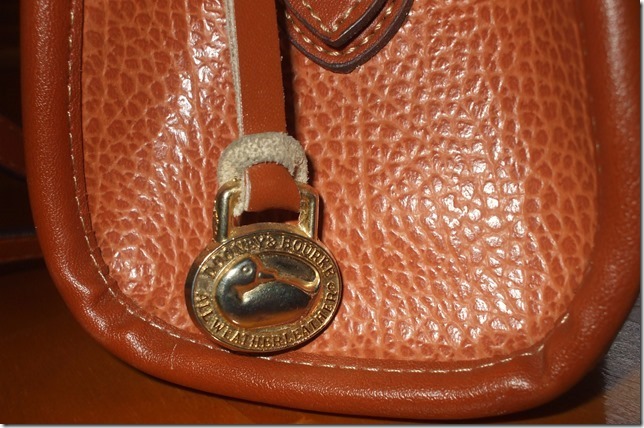 It is not an authentic Dooney & Bourke bag. There are numerous features that tell me this. 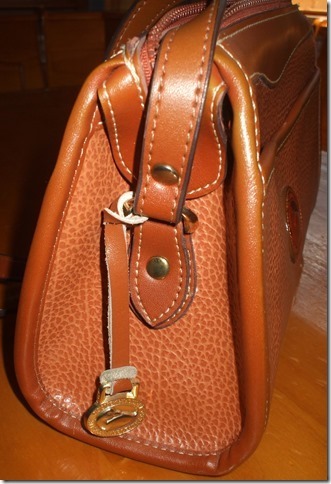 First of all, there is no Dooney & Bourke bag that looks like this. There are similar Zip Top bags but none like this. The trim and shoulder strap appear to be vinyl, rather than leather. The shoulder strap attachment, buckle and end of the strap are all different from an authentic bag. The stitching has the wrong look – wrong color, thickness and pattern. The tab on the back slip pocket is not on Zip Tops but even so, the tabs that are on Dooneys do not have that reinforcement plate underneath. The inside is all wrong (see what an inside should look like below). 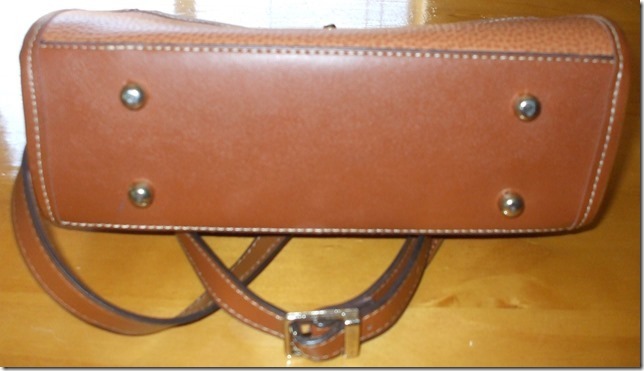 The four studs on the bottom of the bag – I’ll show you what the bottoms of this type of bag would look like. Even the duck FOB is a bad imitation. 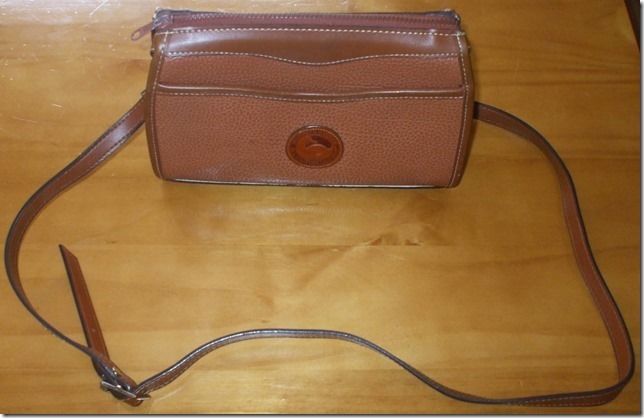 This entry was posted in Authenticity, Classic, Counterfeit, Fake, Knock Off, Vintage, Zip Top and tagged authenticity, counterfeit, Dooney, Dooney & Bourke, fake handbag, knock off, vintage Dooney by Native American Jewelry Tips. Bookmark the permalink.